Namaste! My name is Roger Ray. I am a American who has lived, worked, and volunteered in Nepal for extended periods. I did three years volunteer service in Nepal with the American Peace Corps, working throughout Eastern Nepal building drinking water systems in hill villages. During that period I was also able to do extensive trekking and travelling in E Nepal, mostly on my own. As part of the Peace Corps program we were taught the Nepali language. I can speak decent hill Nepali that is sufficient for trekking, conversing, and living in the hills. Subsequently I stayed in Nepal for 2 more years doing more volunteer work, trekking on my own, and leading an occasional commercial trek. Then I returned to America and worked till I retired in 2007 (with a nine month break for Nepal, as below). 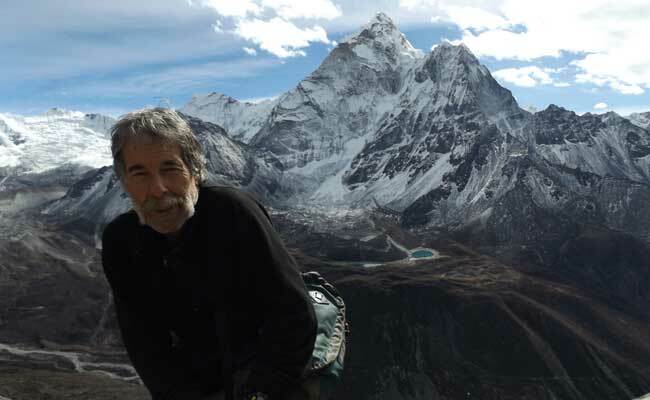 Since retiring I have come to Nepal many times for lengthy stays and done a mix of volunteer work, my own trekking, and leading a few small backpacker style treks with an emphasis on interacting with Nepalis more and trying to avoid the commercial aspect of trekking, especially large group trekking as much as possible. In some areas this can be done easily but in other areas and on specific treks you must utilize the existing trekking infrastructure but you can always choose the most amenable lodge or location. That is how I choose to trek. During the Peace Corps yrs and just afterwards I trekked in numerous areas---Khumbu, Annupurna, Langtang, as well did solo cross country excursions thoughout E Nepal. I also trekked from Manali, India through Zanskar to Ladakh. I took nine months off from work in 1995 and 1996 to return to Nepal to visit friends, old work sites, and trek. Also: Sept 2008-March 2009. Nepal trekking and doing lots of volunteer work...mostly mid hills trekking but did do Langtang and crossed the Ganja La into Helambu as well as up to Gosinkunde and the Pikey Peak trek. Oct 2010-Apr 2011, Trekking, volunteering, adventures, new and old friends...Also did independent trek to Makalu Base Camp in Oct, 2010.Then walked out along the Salpa La route thru Solu where did some water supply work.Pikey Peak trek and an old work site visit. Nov 2012-Apr 2013, did Manaslu/TsumVly, Annapurna Circuit...then Langtang, Gosinkunde, and Helambu, Jan 2013. Feb: Mardi Himal and ABC. 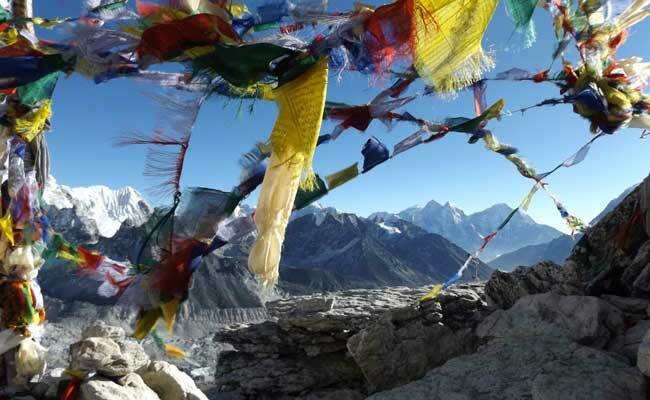 Mar/Apr: Three Passes trek in Khumbu. Nov 2013-Jan 2014, short visit to Nepal doing the Pikey Peak trek and a trek to an old Peace Corps work site to visit friends as well as the Annapurna Circuit trek again. Oct 2015-Mar/Apr 2016, did the recently ‘tea house doable’ Kanchenjunga South base camp and then the North base camp route. Then I did a solo traverse of Eastern Nepal visiting all my Peace Corps work sites to visit friends and check out our water systems (water still running!). Ending up in the Solu area of SoluKhumbu I decided to head up to Khumbu for more blue skies and big mountains. So went up to Kala Pata (what is called the EBC trek) for some photos and walked out to Salleri. I am very familiar with the Solu region in particular and know many trails not regularly used by groups or independent trekkers, alternative routings if you will, and have friends in monasteries and in villages along the way. I have walked in/out from Jiri and know alternate and/or shorter routings about the approaches to Lukla if trekkers have more time and wish to see some less commercialized areas. I know of great mountain viewpoints that groups and most independent trekkers do not go to or even know about. Treks can be designed to incorporate these seldom visited locations on agency group treks or individual treks can be designed as trek clients wish. 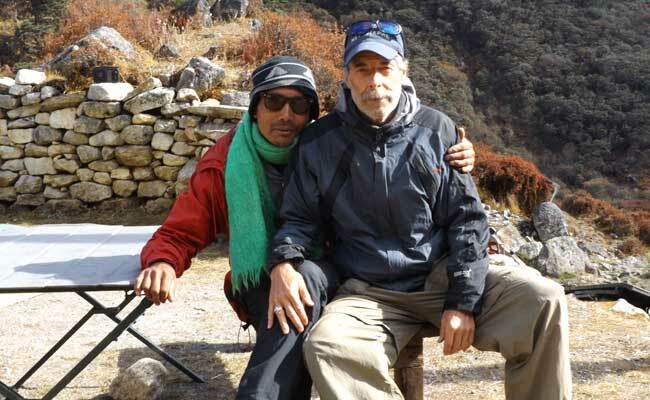 I love the Nepalis and being in Nepal and trekking and like to share this feeling and experience with others. Let's trek! Then after a short trip to India for a three week independent tour thru Rajasthan I returned to Nepal organized the purchase and delivery of rice to a badly damaged village in Nepal. The village had been virtually destroyed by the earthquake. Then did a short trek on the East side of the Annapurna circuit with some friends--an ex-Peace Corps vol/Nepal from back in the day, with his daughter. 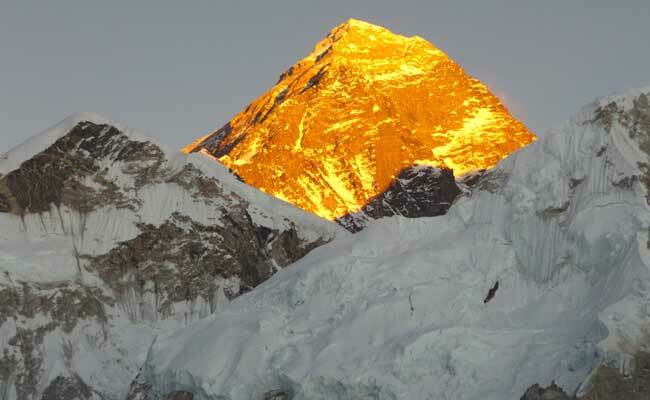 Subsequently led an American on a 31 day trek thru the Khumbu/Everest area. Oct 2017-Mar 2018: led a small group on Pikey Peak trek, then Mardi Himal. Then Annapurna Base Camp and a visit to Lumbini, the birthplace of the Buddha. Followed by a scouting trip for a proposed new trek for an agency for about 2 weeks in a non tourist area. Followed by a two month sojurn thru N Malaysia, Thailand and Laos. Back to Nepal in March then home.